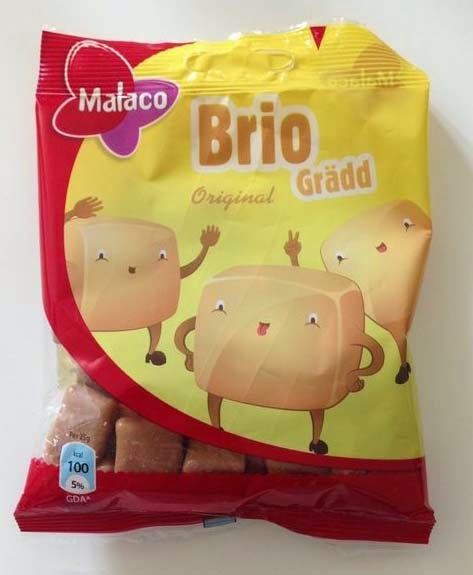 Brio Grädd (grädde meaning cream in Swedish) is a hard toffee with a cream and caramel flavour. The toffees are small and flat and has a distinct caramel smell and the flavour is both rich caramel and full, heavy cream. The flavour are great, but the main problem with this toffee is it's too sticky. It's hard at first, then it gets softer when you chew on it and suddenly it's stock onto your teeth. And not too easy to get off either. So you shouldn't have teeth problems if you wanna eat these. Maybe they had been on the shelf for a while and harden up? A long time since I had those and they always been sticky, but not this much. 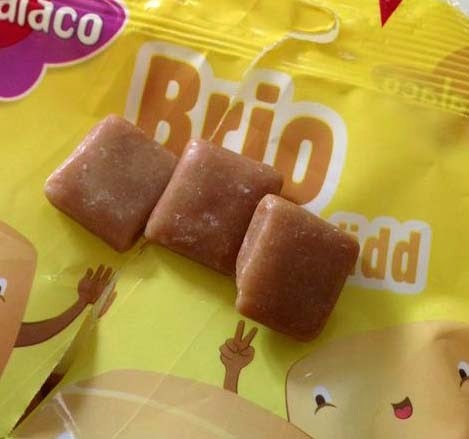 Brio also comes in a fruit flavour. The lower grade is just for the texture, otherwise it would be a 3.